Never miss a great Holiday Inn coupon and get our best coupons every week! Holiday Inn has deep discounts on your summer travels! Book your next trip now and save 15%! Savor scrambled eggs, sausage, pastries, and hot coffee at certain locations and save 20% on your reservation when you book 21 days in advance. Certain restrictions may apply. Guests 62 years of age or older can save by clicking now. If you want to be among the first to know about promotions from Holiday Inn, go ahead and sign up for emails! You'll get alerts right in your inbox. What a smart way to plan your next trip! Save on room rates when you book by presenting your AAA or CAA membership card. Save when you make bookings for spring at Holiday Inn! Get the best rates without having to rely on coupons, and save now for wherever you go! Hoping to save on your next Holiday Inn stay? Then sign up for rewards and start earning points. Redeem them for everything from travel and hotels to gift cards, shopping, and more! Kids ages 12 and under eat for free, and kids ages 19 and under stay for free when they share their parents' room. Click now to get pizza and soda delivered to your room every night of your stay at Holiday Inn. This package includes a large two-topping pizza and a two-liter bottle of soda. Certain restrictions may apply. See website for details. 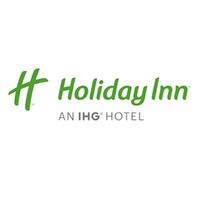 Holiday Inn offers discounts for AAA members, guests aged 62 and older, and folks who book in advance. Take a look at their bounty of discounts here. Holiday Inn knows how hard it can be to board pets, which is why they welcome both humans and four-legged friends alike. Book your stay now to keep your pets by your side wherever you go. When it comes to finding parking, attractions, and the best meals in the city, Holiday Inn can help! Click here to get big discounts with everything from the Tourist Package to the Romantic Escape Package. Book your summer travel stay with Holiday Inn today and save while you're having fun! Click to book now! Book your next trip with Holiday Inn early and save! Book at stay at one of Holiday Inn hotels with a waterpark or Holidome! Save Up To 15 On Your Family's Getaway When You Stay With Holiday Inn! For a limited time, save up to 15% on your family's getaway when you stay with Holiday Inn! Holiday Inn makes traveling with the kids easier. Right now, Kids Stay And Eat Free. Bring The Whole Family To Holiday Inn! Getaway today! This coupon expired on 01/07/2019 CDT. This coupon expired on 11/30/2018 CDT. The time is now to save big at Holiday Inn Book & Save 15% On Your Spring Break Trip With Holiday Inn! This coupon expired on 04/30/2018 CDT. Holiday Inn Black Friday 2017 Deals! Hurry! Get all the best Holiday Inn Black Friday deals as soon as they're up! Click here to see the discounts and doorbusters that will save you lots of dough! Holiday Inn Cyber Monday 2017 Deals! Your Holiday Inn Cyber Monday deals are here! Click here to see the deals and doorbusters that are happening now! Book your trip for this Easter Weekend at Holiday Inn! Save with this coupon to find the best rates available for you and your family! This coupon expired on 04/17/2017 CDT. Business and leisure travelers alike will appreciate the amenities they receive when they use one of the Holiday Inn coupons from Groupon. Since Kemmons Wilson founded the hotel chain in 1952, it has expanded to more than 3,400 locations around the world and more than 30,000 employees. The company is still going strong, too. It was just awarded Highest in Guest Satisfaction Among Mid-Scale Full-Service Hotel Chains by J.D. Power in 2013. Before you book a place to stay for your next trip or vacation, scroll down to find a Holiday Inn promo code. When Kemmons Wilson opened the first Holiday Inn in Memphis, Tennessee, his vision was to simplify travel. He wanted to create a place where families could conveniently, and affordably stay when vacationing on America’s highways. That vision has spawned an enterprise of hotels known for an array of upscale amenities, including complimentary Internet, lounges, onsite restaurants and bars, fitness centers, and, at select locations, waterparks. The hotel has also adopted some convenient deals for travelers with kids. For example, kids 12 and younger can eat at the hotel’s restaurant for free, and kids 19 and younger can stay in their parents’ rooms for free. In order to stay on top of the hotel-chain industry, Holiday Inn recently spent $1 billion to modernize many of its locations. That included doing everything from installing high-pressure shower heads and redecorating the rooms to overhauling the lobbies and exteriors. The efforts have increased the hotel’s snazziness without decreasing its comfort. To see the updated digs for yourself, grab a Holiday Inn promo code and apply it toward your next stay. Staying in a hotel is fun because you get to do things that you normally can’t do at home, such as jump on the beds or learn the television channels. Unwind with these Holiday Inn coupons from Groupon.